Happy Election Day everyone! I'm reporting in quickly, as I still have stuff on my to-do list and I want to leave a hair early to go vote. Mike and I are total Election Day nerds and have a full evening planned of walking to our polling place to vote, cooking a special meal, and procuring an autumn-inspired growler of ale with which to watch the returns later. But I wanted to mention something that became quite a little obsession of mine over the weekend - the Divine Office app. Let's discuss, yes? I've only had a smartphone since May, so this whole newfangled world of apps is fairly new to me. I am aware that even using the word "newfangled" makes me sound ancient, so let's just press on, shall we? ;-) I own the 4 volume set of the Liturgy of the Hours. I have used them in the past, and I adore them. Plus - beautiful, leather bound books. This in and of itself is a huge plus for me. I'm a librarian, I love books. I spent quite a bit of time reading up on how to *use* the print volumes and became decently proficient at ribbon placement and flipping. This could be a new Olympic sport for Catholic librarians, I'm thinking. It is not easy, I tell you. There are Propers here, and Psalters there. Feast days everywhere. :0 It takes a definite commitment to sort it all out. There were seasons in my life in which I was very good about toting the appropriate volume along with me and then praying Morning and Evening Prayer. But most of the time...they sit on my bookshelf and look lovely. Every once in a while, Lent or Advent will roll around, and I'll make a resolution to pray with them for the entirety of the season, and usually the wheels come off of that plan long before my goal. There was one Advent, when Henry was a baby, that I stayed on course not only throughout Advent, but Christmas season as well, and it was spectacular. But I've never been able to keep at it for the long term. Well. Then I acquired aforementioned smartphone and learned all about the beauty of apps. It was *months* before I realized that there were APPS for Facebook and Twitter and doesn't that make things so much easier?!?! Yes, I know. *delicately clears throat while adjusting bun* Then I found all sorts of fun apps for things that I use all the time (Amazon, Etsy) and my universe was happily expanded. I downloaded the free Laudate app and the Pope app and figured I was good to go. 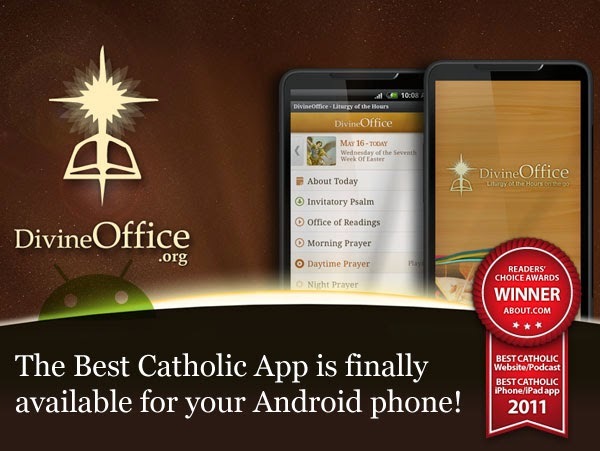 I kept hearing about the awesomeness of the Divine Office app, but I never really pursued it much after finding out that it was $14.99. Not that $15 is breaking the bank for me, but that's a lot for an app, right? And the best part is yet to come, wait.for.it... There is the text there, yes, but for each there is an *audio file*. It is a thing of beauty! 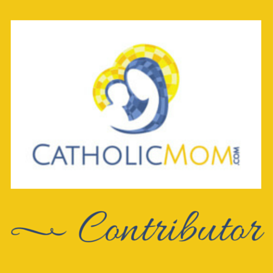 Click on it, and you feel like you're in a monastery praying along with your community. LOVE. Does anyone else pray using the Divine Office app? Chime in!